Doodlecraft: Once Upon a Time Belle's Traveling Cape! 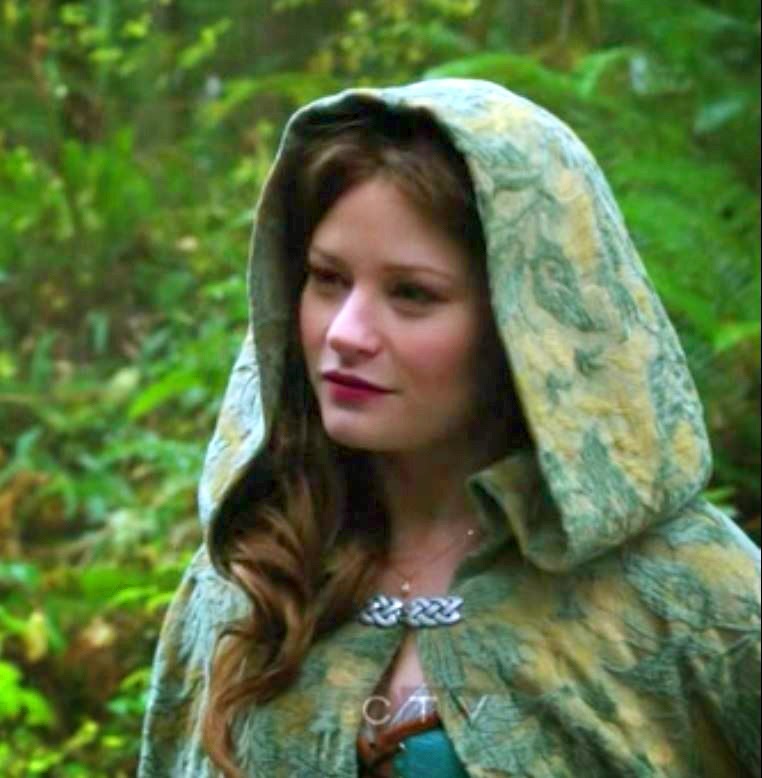 Once Upon a Time Belle's Traveling Cape! topic of conversation everywhere it goes! We've been watching Once Upon a Time...any lovers out there? This cape is spot on. When we first met Belle, we loved her! We love her awesome accent too! She decides to travel to the village...and this is what she wears. At this moment of the show. I ran to my craft room and found this material! I knew it was destiny! I was to have my own Belle cape! I constructed it like my Morgana cape. 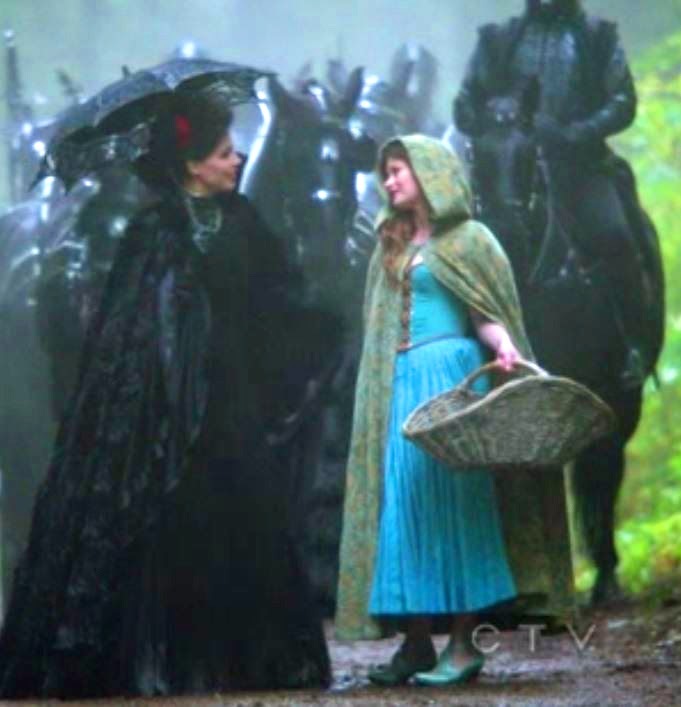 and about 3 yards for this Belle cape. Keep your fabric folded in half like when you buy it. Then take the 3 big pieces and sew the diagonally cut lines together. 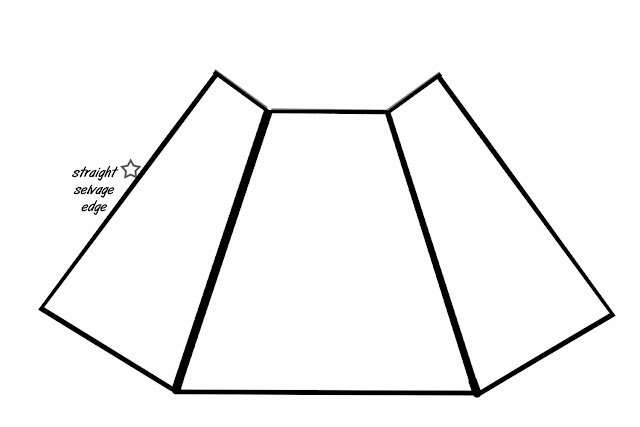 For my Morgana cape, I did a pointy hood. For the Belle cape I did a round hood. Sew the line from the point or rounded tip of the hood to the base of the neck. Hem around the hood face. Sew the neck of the hood onto the top of the robe. It will take some gathering of the robe to fit the width of the hood. Just use some pins and space out your gathers. You can then hem the front and the bottom edges of the cape. The crowning piece, I knew would be the clasp. Belle's was a cool Celtic knot of pewter. I bought one just like it on ebay for about $10. I really just typed in "Celtic knot clasp"
Hand sewed it right on like a button. It's exactly like the show! it's just a little shorter on me! 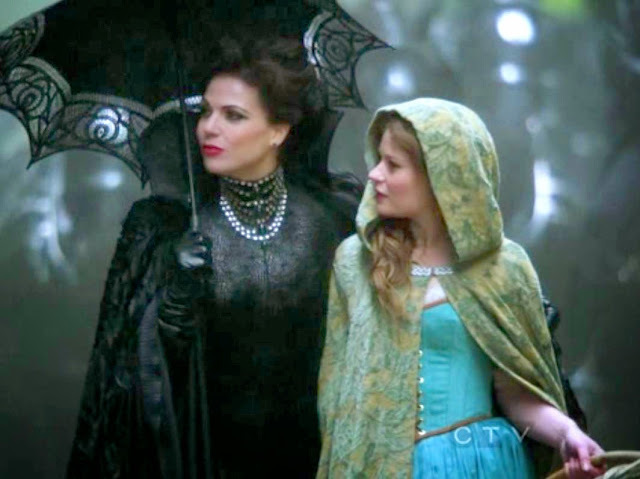 I am so inspired by Regina, the Evil Queen's wardrobe too! Totally love the way it turned out...and from start to finish it was well under an hour! This one is going to wear it to church just like this! WOW! I looked at everything on you're cape and her's and It is the egsactly the same! I don't know how to spell^ and it say's it's wrong but I right clicked on it and it dose not have what I need. Where in the world did you get this fabric? I think I've found some on Ebay, but I would love to know where you got yours. Thanks. Can someone please tell me were I might be able to get this fabric! 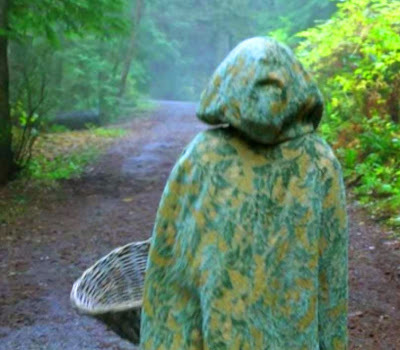 I love this cloak and would love to make it for halloween but in can't find the fabric. Just having a hard time visualizing it . . .
Also, to others about the fabric . 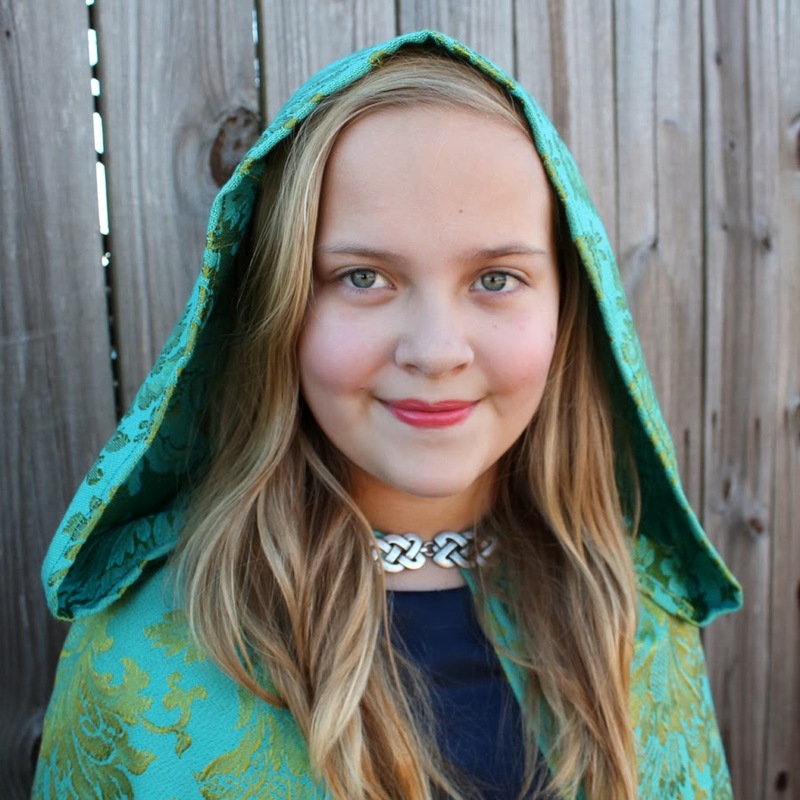 . . my daughter and I spent some time looking on etsy and ebay for upholstery weight or drapery fabric in greens and blues and found something perfect. It wasn't exactly like Natalie's but just as perfect for Belle's cape. I just discovered Once Upon A Time and I am too obsessed with the outfits...yours is as gorgeous as the ones on the set! Of course they are! You made them! It's been a long time since I've been able to play online but I am so glad to be able to come back to your blog! Such an inspiration!